The Vigorelli celebrates the return of steel frames in competition riding. 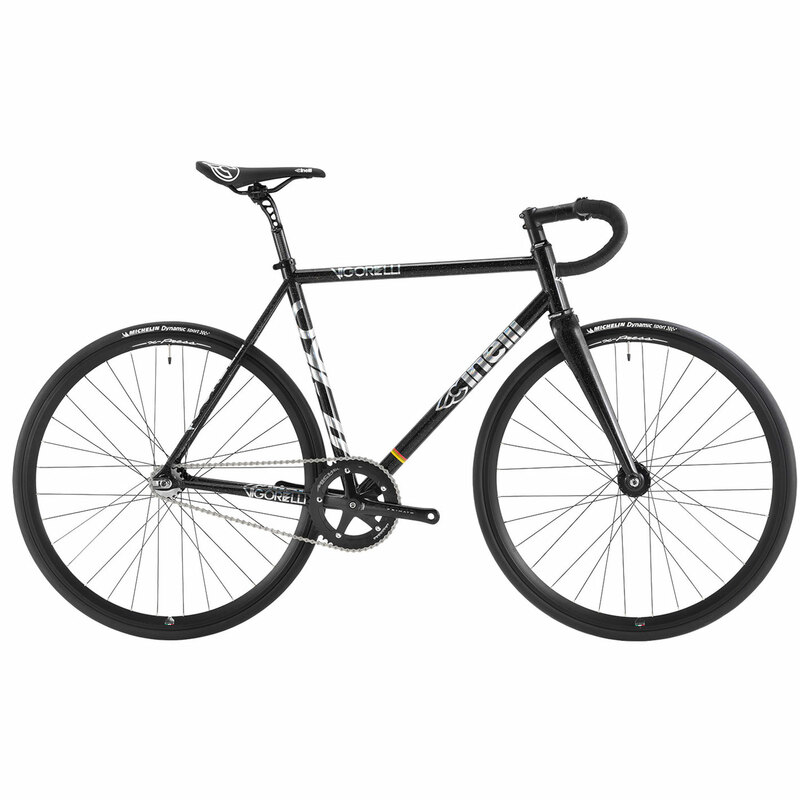 Constructed with Columbus Thron tubing and matched with a Columbus Futura carbon fork, the Vigorelli Steel is the first production bike in the world designed specifically for fixed gear criteriums. It is characterized by its extraordinary handling abilities in technical racing conditions. At the heart of the Vigorelli Steel’s precise race handling, are two distinguishing innovations: A re-tuned fixed-gear, crit specific, track geometry. The new geometry features a higher bottom bracket and increased fork rake, further reducing toe overlap and providing a more stable ride quality, a response to ever higher race speeds at events such as the Red Hook Criterium. The use of Columbus Cromolly steel tubing for the frame’s construction. Steel is the soul of the new Vigorelli’s performance. The naturally superior elasticity of Columbus’s cold-drawn steel allows for the frame to better absorb vibrations and other disturbances from the road’s surface, particularly in moments when the frame is subject to the greatest deformation and stress (in the three stages of cornering). Practically speaking, competitive riders will immediately draw confidence from the absence of the notorious “oversteering” usually associated with technical cornering of a true track bike and the way in which, in deceleration leading into a corner, the rear wheel skips and skids less, “hugging” the surface of the road and improving rider control.